Don't know why but it's so much fun shopping in the Tawas/Oscoda parts. We spend our money in little shops, in small farmers' markets, and at family restaurants. When at all possible, we have lunch at The Old Place Inn in Harrisville. Don is a brainiac when it comes to soup and we drive north with breathless anticipation each Saturday. 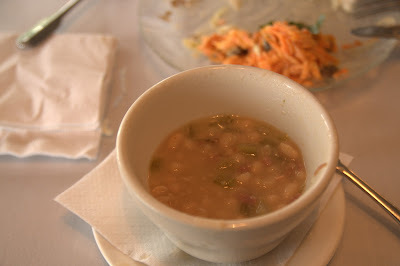 This weekend, the soups were butternut squash, beef barley, senate bean, and (creamy) chicken with dumplings. There is no picture of the butternut squash; I got the second to last serving and I wasted no time on that cup. All his soups are homemade and out of this world. 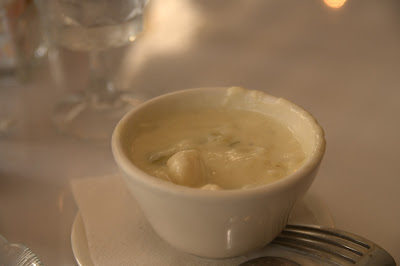 and yes, I was taking pictures of the soup while eating. The couple next to us thought it was a hoot. Our trip to the farmer's market (in East Tawas) was fruitful despite the rain. 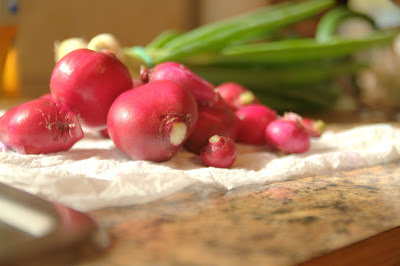 I have fabulous looking (and tasting) radishes and some enormous green onions. We grabbed some steaks at Klenows (best meat place in the state) to throw on the grill. 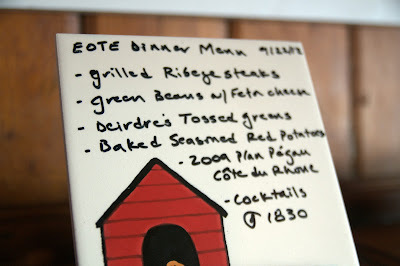 Along with a great bottle of wine from Brew Krew, dinner was a home run. All that's left is for the Tigers to catch the White Sox. Go Tigers! Beautiful photos! I love the story about the restaurant. I bought a small but fast compact camera so I can discretely pull it out and take pics of my food lol. Those soups looks yummy. I love making soup at this time of the year. Great photos.